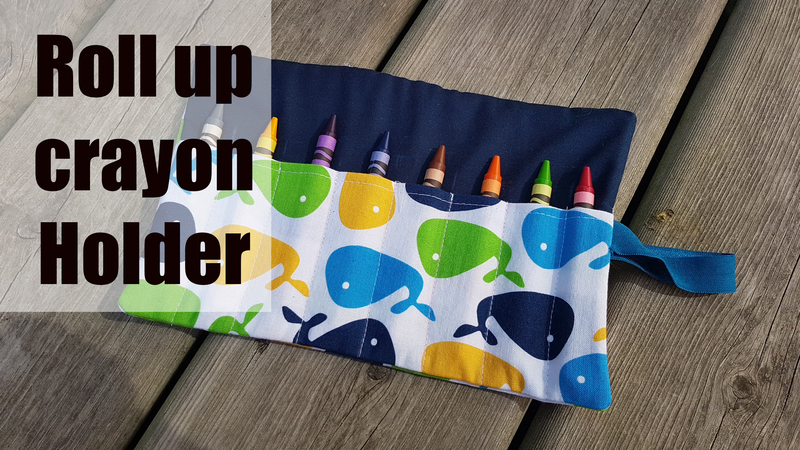 Welcome to the pattern for a Roll up Crayon holder! For this pattern i will show you how to custom make your own fabric roll for whatever you need. Step 11 – Load it up and roll it up! How to customize your own! A one inch pocket seems to be a perfect size for crayons, pencil crayons, peeps, and thin markers. if using a larger item such as fat markers i would increase the size of your pocket. Check out my Crayon Folio tutorial!